A little while before Christmas I saw a video on Tati's channel all about gift sets that she had found in Target that we were affordable and actually quite good. This brand is Profusion, who established themselves a while back in the US and have now made their way across the pond to us here in the UK and hopefully other places around the world soon. 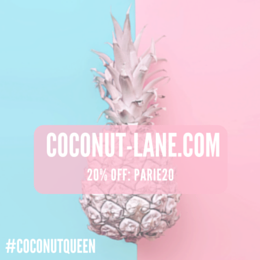 They have a wide selection of different palettes that are designed to give you options, high quality and fun. When they got in touch with me to try some bits out, I couldn't help but jump to the chance and now I just have to share it all with you. 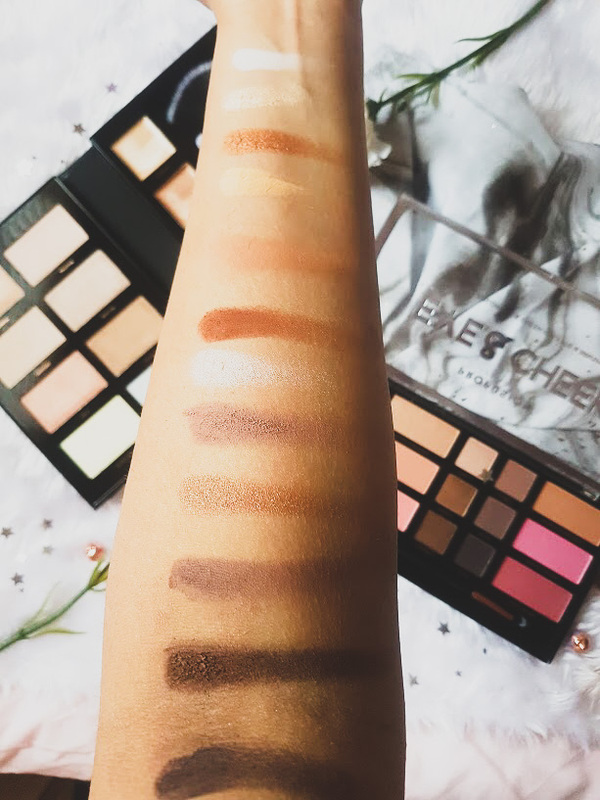 The first thing that took me by surprise with these palettes is the price, this palette consists of 8 powder and 4 cream highlights yet costs less than many other palettes you can buy. The packaging for this palette is quite bulky, but then again it is advertised as a book and it is exactly that. Inside this book there are eight different powder highlights, some are more bronze others are more icy and then four cream - these work perfectly under the skin as a base glow. 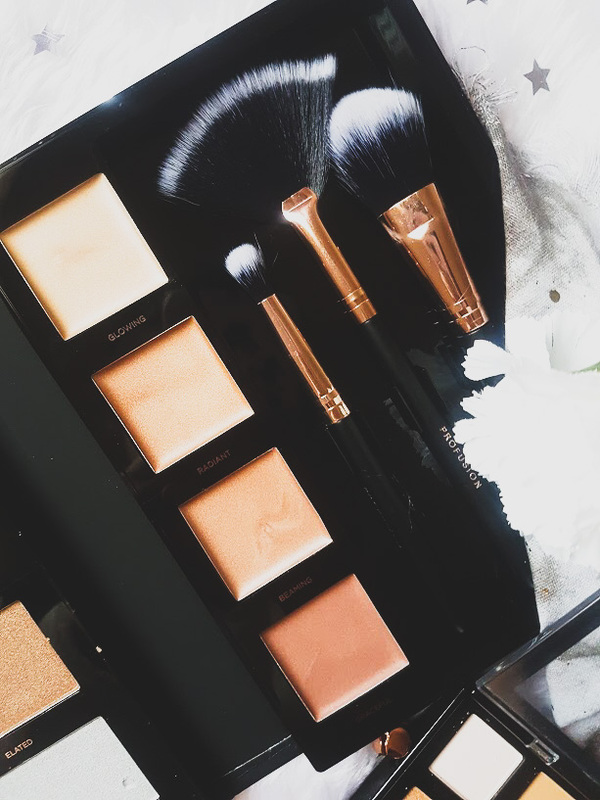 As a bonus, there is also three brushes - all which are soft and very easy to use, they don't pick up much product and help products blend out amazingly well. As you can tell by the swatches they are all very pigmented and so beautiful. 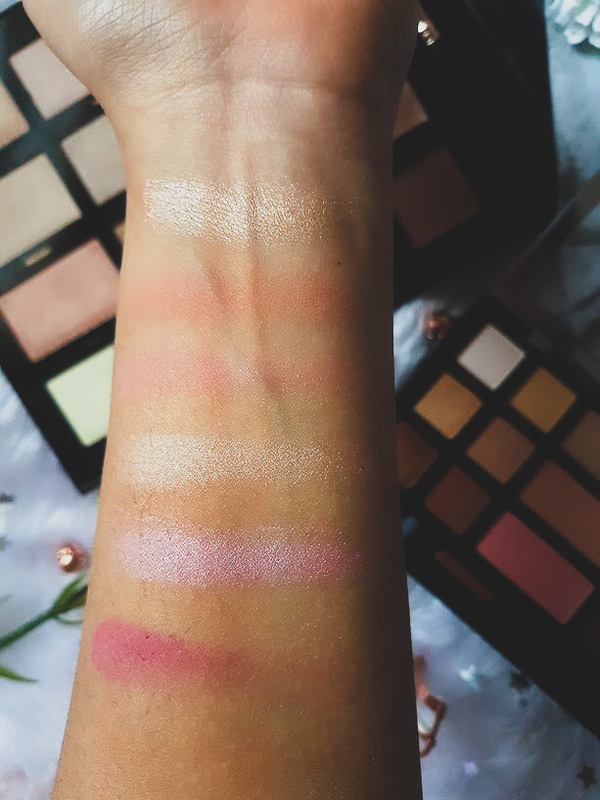 I find that the first few shades take a bit more to show up on my skin as they are quite light but the others look amazing and each one is so buttery. It is very rare that a inexpensive product can have such amazing pay off but these have proved me wrong. 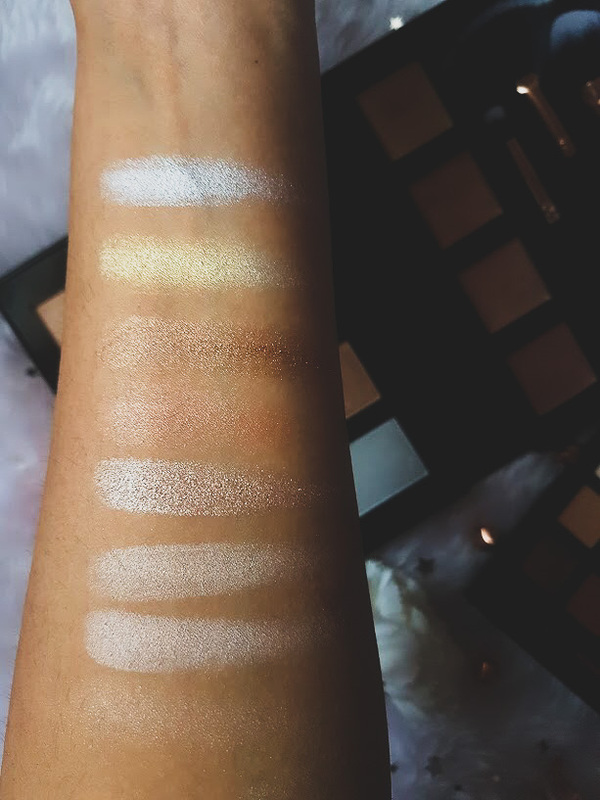 Since having this little set, I have been alternating the different shades and sometimes even combining them with one another to create an even bolder highlight. For just £13 this is a game changer!! Just when I thought the highlighters were beautiful, I started to use this palette. 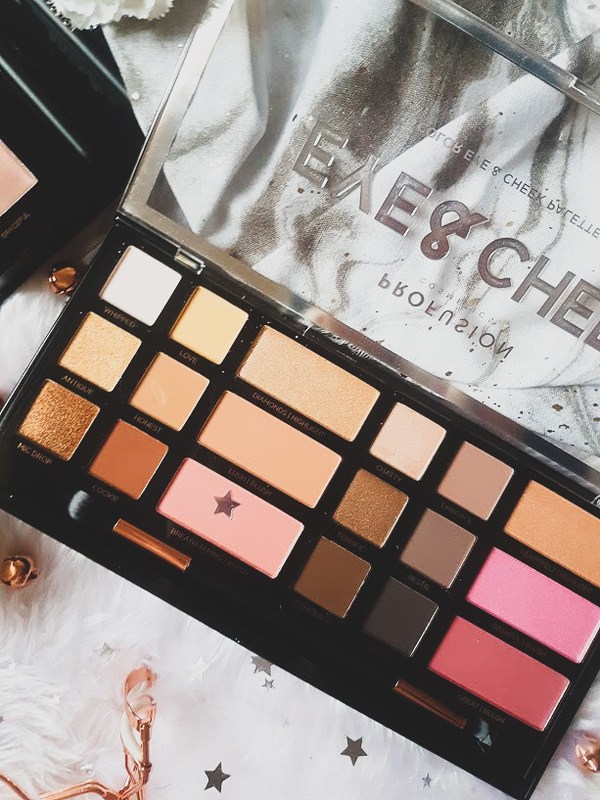 This eye and cheek palette makes life so much easier when I am going from university to home, it is such a struggle having to choose which makeup to take with me - this palette allows me to just take one thing with me. It is quite bulky as its so big but there is so much squashed in, I don;t mind having to lug it around. 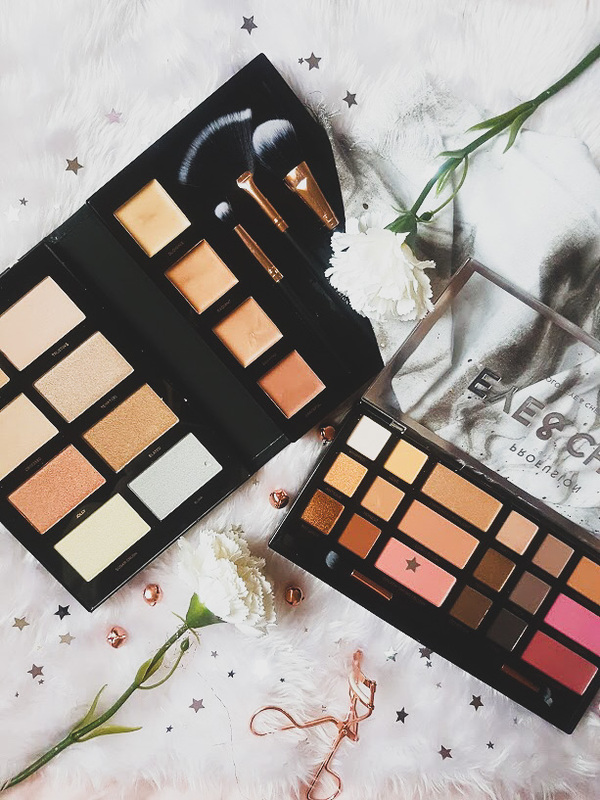 In total there are 12 eye shadows, 4 blushes and 2 highlighters, everything you need to create a variety of different looks. At the moment my use of eyeshadow is very minimum but when I do these shades are my go to and why wouldn't they be? They are gorgeous, buttery and surprisingly pigmented which makes me think just how much though the brand has put into their products. I love that the matte and shimmer shades have been made the same and the colour pays of when swatched and used on the eyes. My favourite shade is mic drop, a glittery and sparkly gold that create the perfect eye look in a matter of seconds. 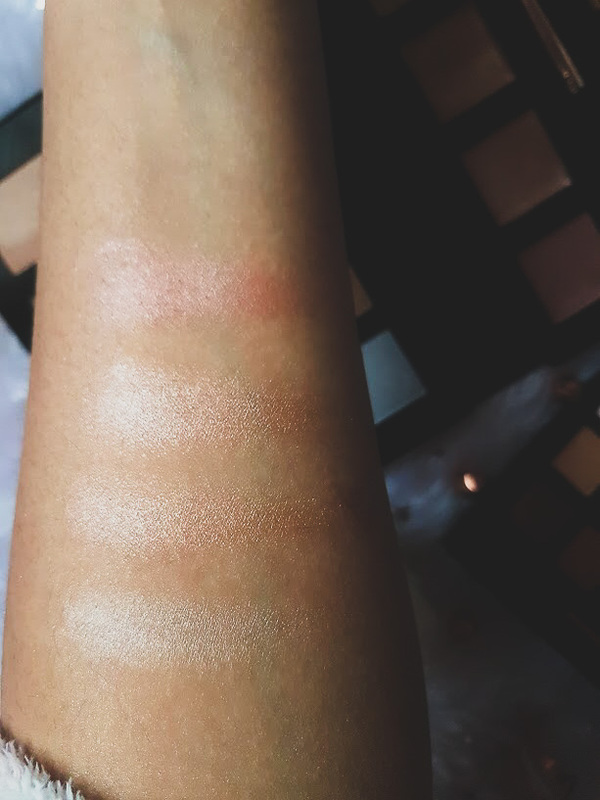 I have always found blush difficult to apply and control, these are very pretty shades and with the slightest tap on the brush I have been able to wear it along with bronzer - PRAISE THE MAKEUP GODS. The really pink one is going to look amazing in the summer, whereas for now I am using Breathtaking. A shade that is neutral and has a peach undertone which looks lovely on my skin. 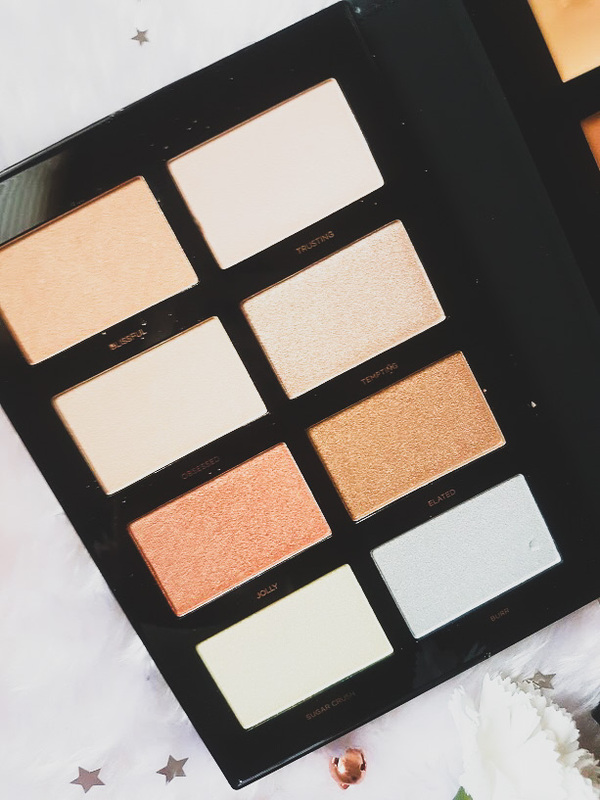 The highlighters in here haven't really been touched very much because of the book but they are just as buttery and pigmented as the others and I think work really well as both inner corner highlights and cheek highlight. Safe to say that both of these palettes (book) have seriously impressed me! I think the packaging could be shrunk down a little bit but other than that the products inside them are incredible and will be getting a lot of use. They're available in Target (USA), online and I think in TK-Maxx too!